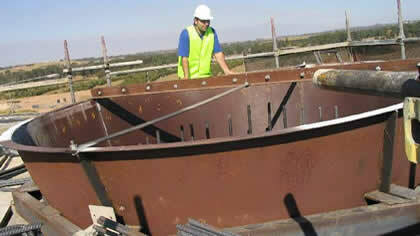 About Perfect Engineering Pty Ltd. Perfect Engineering specialises in the design, manufacture and supply of special purpose machinery and steel fabrication. Our team has more than 20 years of experience with a network of large and well-established organisations. We are often engaged by our clients to undertake complex R&D engineering fabrication and design. Our organisation's motto is to provide safe, reliable and optimum cost products delivered on time, that are fit for use and meet or exceed customer needs and expectations. Our scope of expertise includes mechanical, structural, civil, infrastructure, steel fabrication, bridgework, roadwork, earthwork, dams and water services. 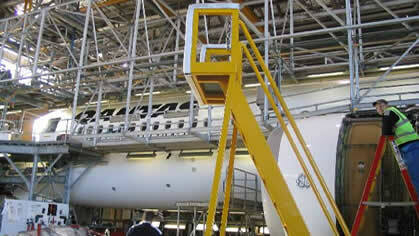 Perfect Engineering has the relevant and up-to-date qualifications to deliver a variety of engineering services. Perfect Engineering Pty Ltd. is quality accredited to ISO 9001 standard and our quality procedures and practices are regularly reviewed to identify practical improvements. In addition, to Work, Health & Safety (WHS) accreditation AS4801 and a prequalification for RMS R1B1. Perfect Engineering aims to provide a high quality standard of work and on-time delivery to earn the respect and loyalty from our valued clients. We offer you the perfect combination of services and solutions for all your engineering needs. M4/M7 Motorway - innovative column shuttering with steel formed the basis for concreting the entire columns for the motorway while others were saying it was only feasible in timber. This approach also shortened construction duration by 6 months. 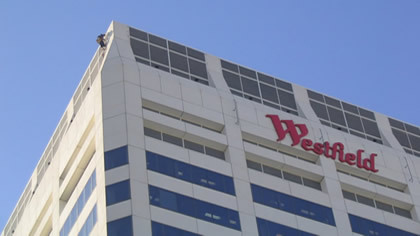 Westfield - corrosion remedy and material substitution with an aluminium-steel composite was implemented to prevent further damage to the deteriorated louvre and steel roof structure. Rectification was performed on the 29 storey building while taking into consideration of the public below. Qantas - required an alternate design for several original Boeing support equipment. The equipment were to carry nose cowls and other aircraft components which are priceless when considering human lives. We offer a broad range of civil services such as roads, bridges, tunnels and waterways. We also practice the preparation of detailed implementation plans, construction quality control plans and project reports to ensure project success. We aim for continuous improvement. We do research and development to keep abreast of the latest technology and therefore be considered as a consultative as well as an engineering provider in the civil, structural and aerospace sectors. We have a vast amount of experience in the management of outsourced work. We have the resources to manage the contractors' health and safety, insurance, training programs and specific documents that pertain to the contractor and client. For the last 13 years, Perfect Engineering has been delivering major building and construction projects for the Australian Government and the public community. We have the ability to take on difficult projects and provide feasible and optimal solutions to complete projects successfully. We think outside the square, we believe in new ideas and technologies. Our team spend more time on brainstorming and troubleshooting in the design stage as we believe this can achieve optimal designs and accurate results. We design and provide certified drawings. We have the ability to take your project from the initial concept stages to the final completion stages while maintaining excellent quality and on-time delivery.